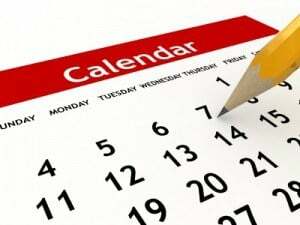 Due Date – There will always be at least 25 days between the billing date and due date. If the bill is not paid by this date, a reminder notice will be mailed the first business day after the due date and a $10 late fee* will be added to the balance. Reminder Notice Due Date – There will always be at least 10 days between the reminder notice mailing date and the reminder notice due date. If the reminder notice is not paid by this date, there will be an $18 secondary late fee* added to the balance. At this point there will be a total of $28 in fees added to your original bill. Property Tag – A brightly colored property tag will be posted on the property at least 48 hours prior to water service shut-off, which allows customers time to bring their accounts current. If payment is not received by the date and time indicated on the tag, the service will be locked off on the day indicated on the tag. Lock Off – If payment is not received before the date indicated on the property tag your service will be locked off and you will be charged a $36 lock off fee*. To turn your service back on, you must pay the account in full, including a $36 restoration fee*. No partial payments will be accepted to turn service back on. At this point, there will be a total of $100 in fees in addition to your original bill. *Disclaimer: Fees contained herein were valid as of the effective date of this document as noted above are subject to revision by the CCWD Board of Directors during a public meeting. The District follows the California Water Code for its billing procedures, therefore the District does not have the flexibility to change due dates and make exceptions unless allowed by the California Water Code. Pay once a month. You do not need to have a bill in order to make a payment, you can make a payment at anytime. 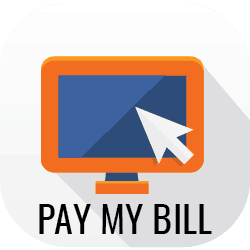 Our online bill payment system makes this very easy. Visit our website at www.ccwd.org for more information. Your bill will never be due before the 15th of the month. Billing due dates fluctuate between the 17th and the 21st. If you live in the Valley Springs, Copperopolis, or West Point areas, your bills is due every even month of the year (see billing calendar). If you live in the Arnold, Murphys, or Vallecito areas, your bills is due every odd month (see billing calendar). Locate your water meter and monitor your water usage. Water savings tips can be found on our website at www.ccwd.org/conservation. To restore water service to a property that has been locked off, customers must pay all outstanding balances during normal business hours , including the $36 shut-off fee and a $36 restoration charge. If customers want service restored outside of normal business hours, an additional $72 after-hours restoration charge will be applied to the account. There is a $25 charge for checks sent to the District with nonsufficient funds (NSF). If the District is unsuccessful in collecting payment on the account, the property will be liened or the bill may be turned over to a collection agency. If customers have questions about credit or notices, they may call (209) 754-3543 to reach a Customer Service representative. If a customer's meter has been damaged or is inaccessible (for example after a snow storm), CCWD will bill the water base rate until the meter can be read. Once the meer is accessible, the next available meter read will provide customers with their actual usage. Meters are read approximately every 60 days. Customers will recognize the District meter readers by their uniforms and District vehicles parked nearby. If customers would like additional verification of employment, they may ask the District employee for CCWD identification. Customers must maintain full access to their water meters for meter reading and any necessary maintenance and repairs by District personnel. If, for example, a meter is in an enclosed yard, customers are responsible for making it accessible. This means customers must move their fences at their expense or pay CCWD to relocate the meter. If customers own dogs (or other animals that might cause harm) they will be required to keep them penned or otherwise restrained so they do not threaten the safety of CCWD's meter readers. Finally, meters must be kept free from obstructions such as trees and shrubbery that impede CCWD's access. California state law requires CCWD to set rates and levy charges sufficient to cover operating expenses, including interest on debts, and to provide funds for replacement or construction of facilities. The District conducts rate studies to determine the cost of providing service, and rates are based on these studies. CCWD charges a bimonthly base rate, which is used to pay for the fixed costs of maintaining the District's infrastructure that delivers water to customers' meters and remove and treat sewer, along with general District overhead. Bills are sent out bimonthly. Click here for a printable list of capacity fees. Click here for a printable guide to understanding your bill. Click here for a printable guide to rates and billing.